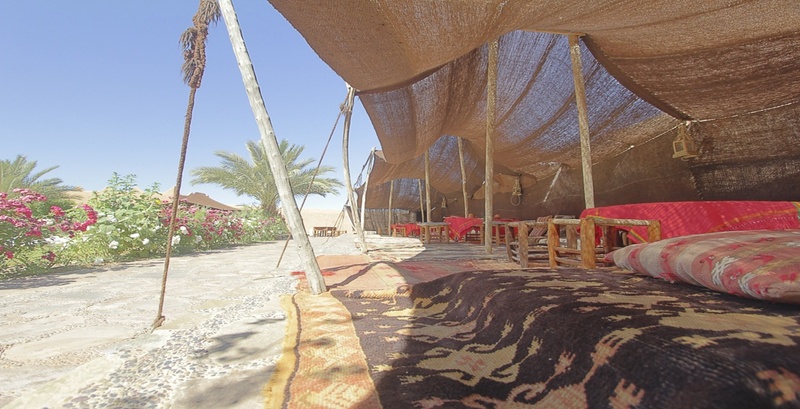 Get an extra-sensory experience at the village of Nkob, the Kingdom of Kasbahs. 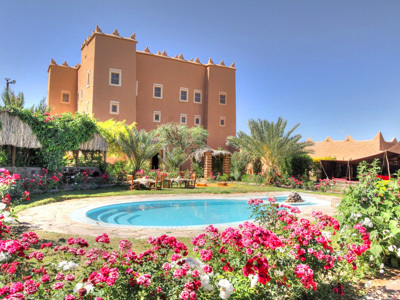 The Kasbah Baha Baha is an oasis of calm and coolness set around a large garden and a jug shaped pool. 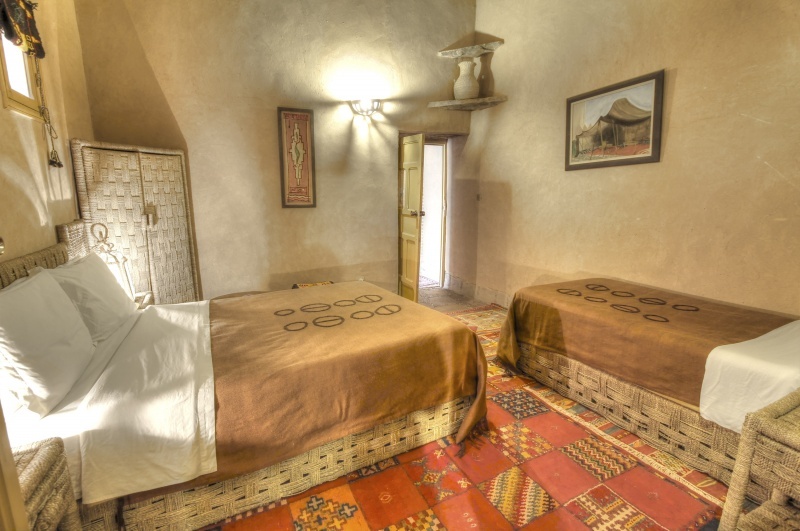 A peaceful and fully restored guest house that combines beauty, serenity and refinement. 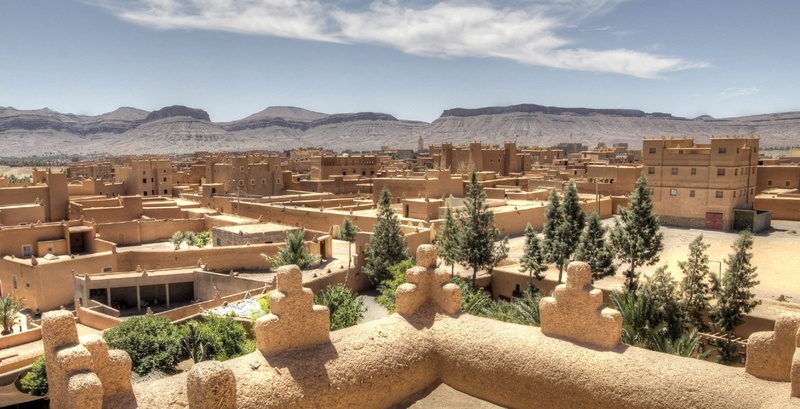 The Kasbah Baha Baha is a jewel of rammed earth construction that dates back to the early of the last century, inherited by a Head of Ait Atta tribe. 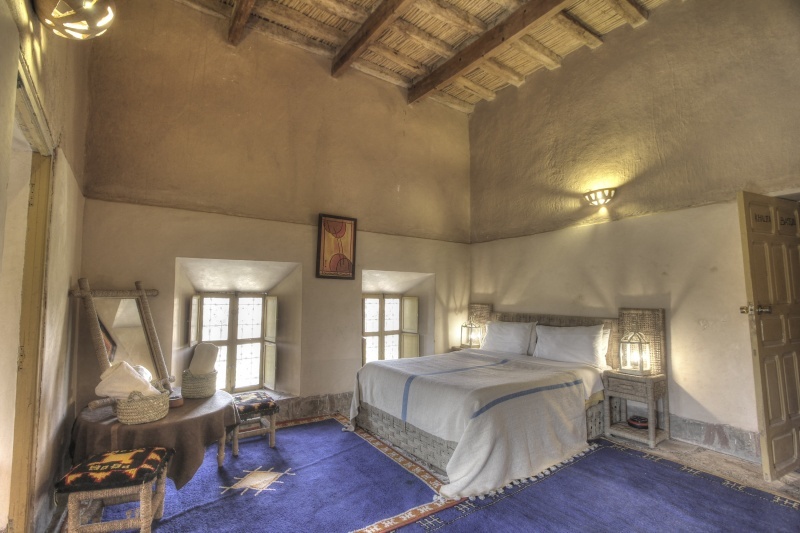 This authentic Kasbah with berber origin and style has been fully restored in the greatest tradition of craftsmanship. 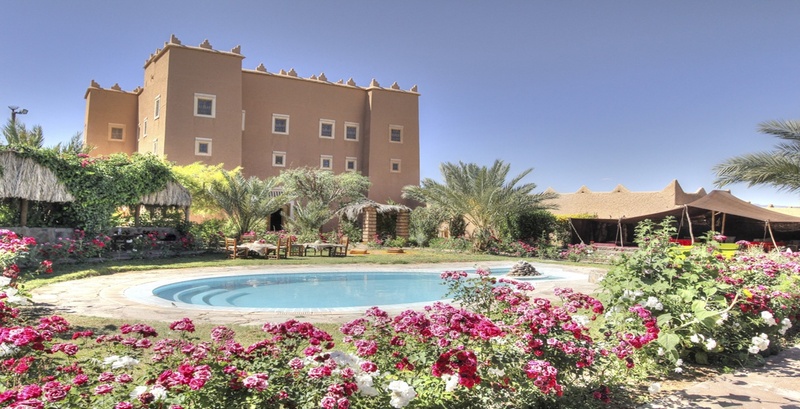 Located within a 2-hectare garden, this guest residence counts 15 rooms and suites decorated in perfect harmony with local traditions. 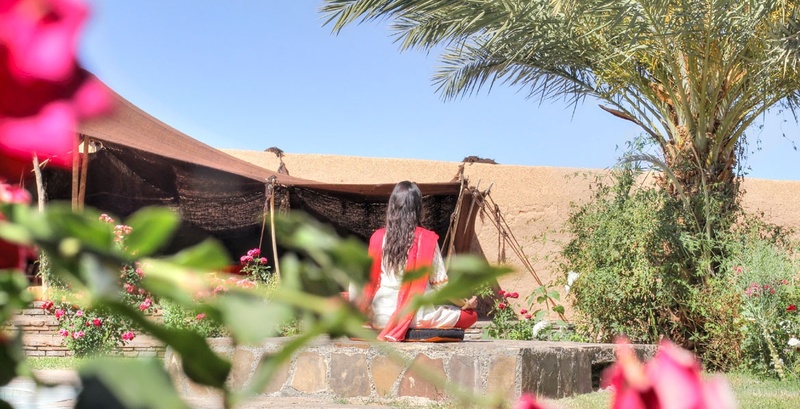 Its rammed earth construction, its authentically furnished rooms, its warm fireplace corner, its organic plates, its vegetable garden, its aromatic plants, its goats breeding corner, its 360 degrees panoramic view, its clean air and quiet atmosphere inspires relaxation and well-being. 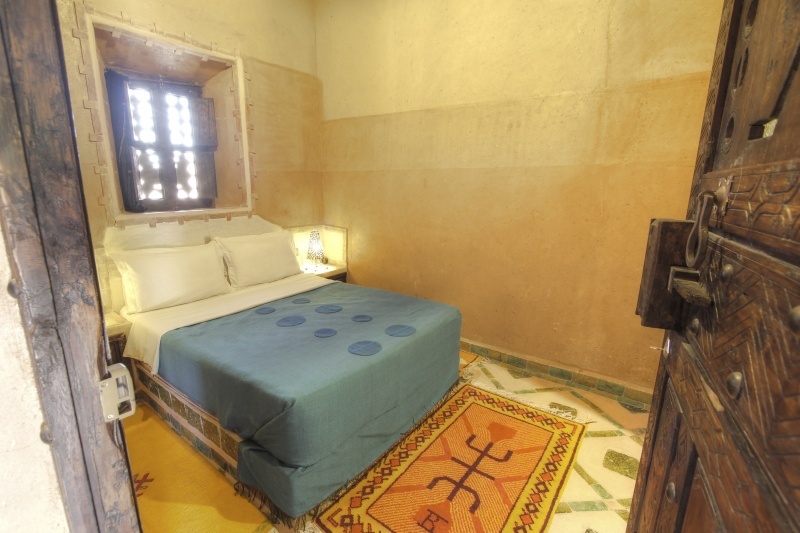 The Kasbah offers extra-sensory stays that you will always remember. 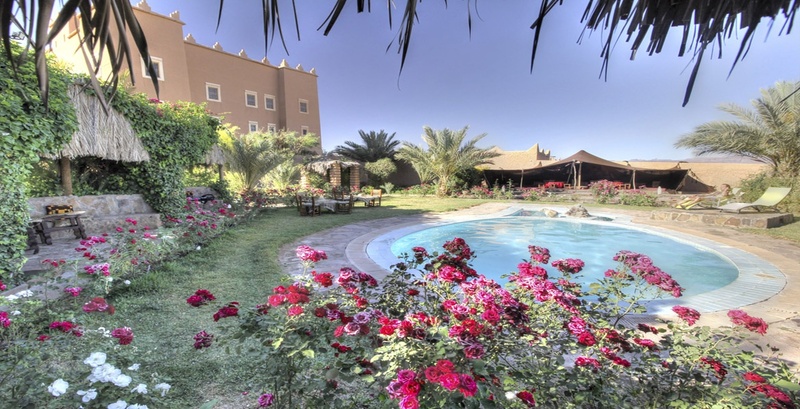 The Kasbah Baha Baha is located in the village of N'kob at 1050 meters above sea level on the road connecting the Draa valley and the Ziz valley, in mountainous, desert and oasis area rich in vernacular architectural and cultural heritage. N'kob is the only village in Morocco that counts more than forty Kasbahs all built with rammed earth. The origin of its name came from a cave named N’akb, located northeast of the hill where the village is located, which used to serve as a pit stop for nomadic tribes of Ait Atta. Please contact us for more details, we will be happy to answer your inquiries. You can call us by phone to book or to request more information.